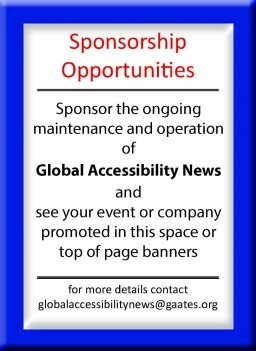 The Global Alliance on Accessible Technologies and Environments (GAATES), recognized as an international leader in the field of accessibility, is pleased to announce its public launch of the International Certification of Accessibility Consultants – Built Environment (ICAC-BE) program. Significant time and contributions from recognized global industry leaders has resulted in the development of the first ever international-level certification program for built environment accessibility experts. The lack of a certification program has allowed people with little or no training or expertise to present themselves as accessibility experts. This has led to uneven and sometimes inadequate costly design solutions. The identified need for validation of those working in the field was recognized by GAATES who has filled an important gap in the industry. Following internationally established certification protocols (ISO/IEC 17024:2012: Conformity assessment — General requirements for bodies operating certification of persons), a global panel of experts assesses the qualifications and interviews applicants. Evaluators have international experience in public, private and social sectors, and represent a worldwide vision of what constitutes a Universally Designed and accessible built environment. The evaluation is based on both regional practices and international ISO standards. The program determines whether applications qualify for one of three levels of competency and confirms those professionals who are actively developing universally designed, accessible, and inclusive built environments for everyone, including persons with disabilities and older persons. International certification will allow those working as accessibility consultants to demonstrate their expertise and it will provide them with a significant business advantage.